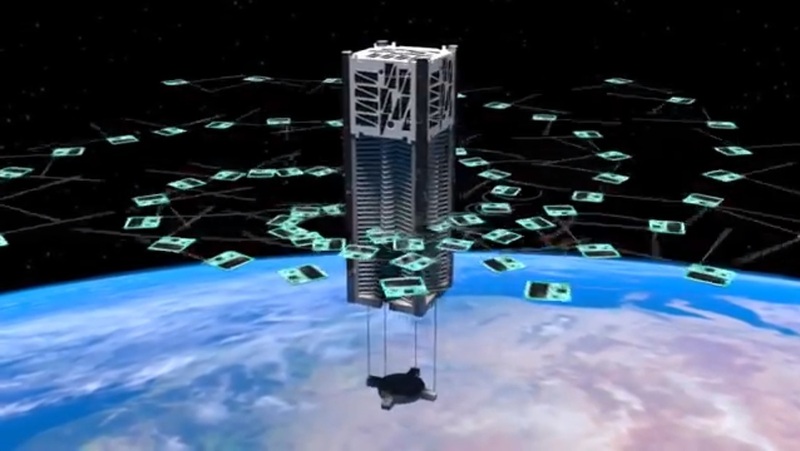 KickSat is a crowd-funded 3U CubeSat that, once in orbit, will release small active ChipSats (femtosatellites) that will transmit various messages using a radio system. The primary objective of the mission is the demonstration of the deployment and operation of a large number of Sprite ChipSats. The mission has been supported by more than 300 backers on the KickStarter crowd-source website. The project was developed at Cornell University, led by Zac Manchester. The 3U CubeSat consists of a 1U avionics bus that provides electrical power, active attitude control, command and control systems and communications for telemetry downlink and command uplink. 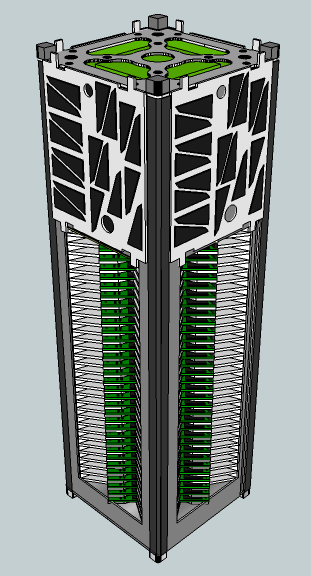 The remaining 2 CubeSat units are dedicated to the deployment mechanism that holds and secures the Sprites during launch and in orbit using a lid. The mechanism can hold up to 200 Sprites and uses a spring-loaded pusher and by a nichrome burn wire system to deploy all the Sprites. The prototype mission launching on SpX-3 carries 104 Sprites. 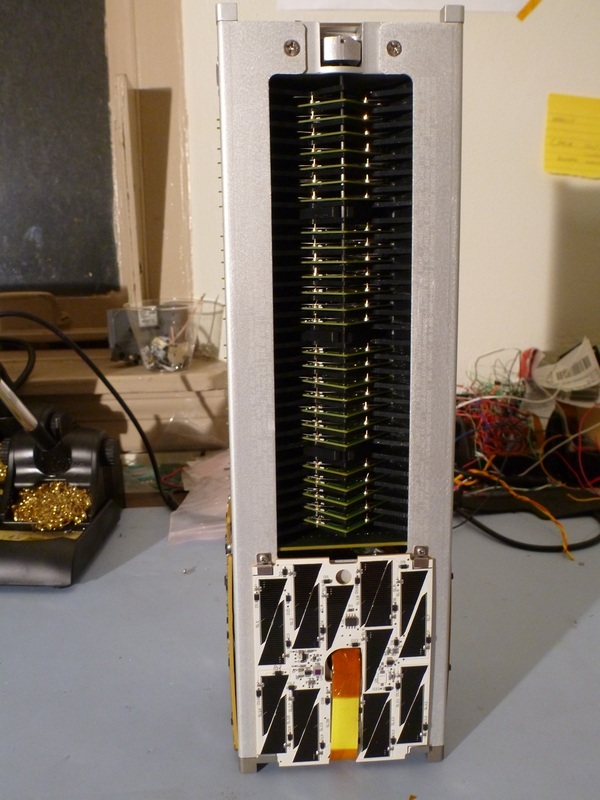 The KickSat CubeSat weighs 5.5 Kilograms. Following the CubeSat’s deployment from the P-POD, KickSat conducts a de-tumble maneuver and establishes a three-axis attitude. Also, communications with the ground station at Cornell University will be established for post-launch checkouts and a spin-up that will stabilize the spacecraft in a sun-pointing attitude. 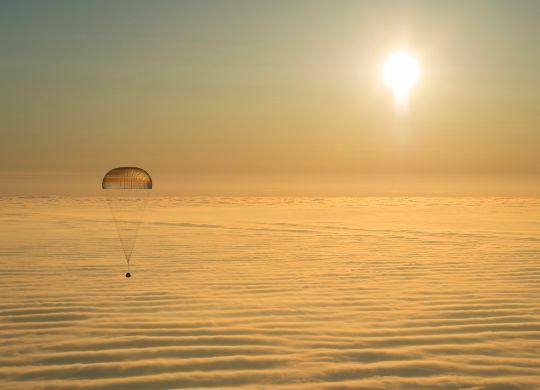 The release of the Sprites is triggered either by command sent from the ground or via a timer that starts at the moment of release of the satellite and initiates the deployment after 16 days. 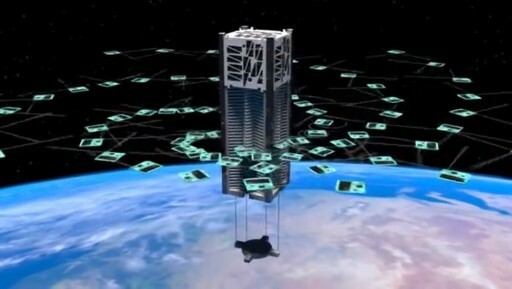 The Sprites will be deployed as part of a short sequence which will mark the largest deployment of active satellites. Each Sprite is a fully functional satellite, measuring 3.5 by 3.5 centimeters with a thickness of just 2.5 millimeters. The Sprite ChipSat is equipped with several solar cell units to produce power, a few capacitors and other electronic components, a set of wire antennas, and a microcontroller that regulates all functions of the small satellite. The prototype Sprites do not have many functions except for downlinking some telemetry parameters and a stored message composed of the initials of the backers that supported the project on KickStarter. Future Sprites could carry scientific sensors or cameras to gather a wealth of data as the small satellites get distributed in their orbit after release. The signals of the Sprites released on this prototype flight will be tracked by a worldwide community of amateur radio operators. Monitoring the satellites also provides data on how the electronics on the Sprites respond to the harsh radiation environment in Low Earth Orbit. The mission uses the 437.240 MHz frequency. The Sprites will remain in orbit for several weeks strongly depending on atmospheric conditions.